And.... six months later I finally have some time to do some writing. ha-HA! Holy wow does time fly when life is happening with a toddler...! 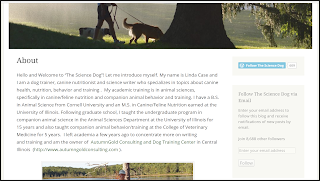 At the end of my last post, I mentioned that I would talk about how I do my doggy research. So here it is. Better late than never, right? and during my research I came across a lot of bad information. Real turd articles. My experience researching the topic was not unique. 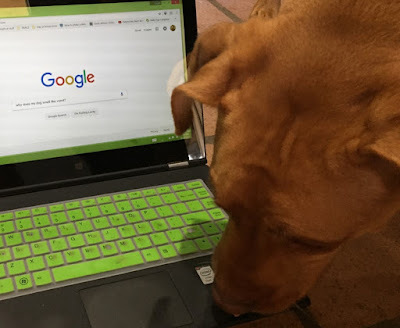 In fact, one of the reasons I started this blog, as you may have read on my About page, was to share the conclusions I've come to after filtering out the crap from the mountain of dog-related information out there. It's funny that I say I filter out the crap, because while in the process of writing this post, I learned that there actually exists a "C.R.A.P." test for evaluating sources (Shout-out to my librarian friend Amy who made me aware of this useful tool!). And a lot of what I already do is in the C.R.A.P. test, so that's awesome. 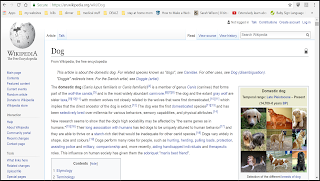 But the information on wikipedia is populated by anyone who wishes to do so, which means that it's possible that some of the information is incorrect. I keep that in mind. Someone once told me that using wikipedia for information was like asking a very smart friend: chances are they know what they're talking about, but it's possible they're wrong. Information that has a citation (an associated reference) is more trust-worthy, though it's smart to double check that the reference isn't crap. I try to stick to websites that I know and trust. But, if I'm unfamiliar with the website, I read the "about" section to see if I can figure out where the information on the site is coming from and/or who is doing the writing. For exampling, petmd.com provides articles that are apparently written and approved by petMD's "trusted veterinarians". That's good. I am the ever skeptic, though, and know that self-proclamations aren't always trustworthy, so sometimes I also google the credibility of source. 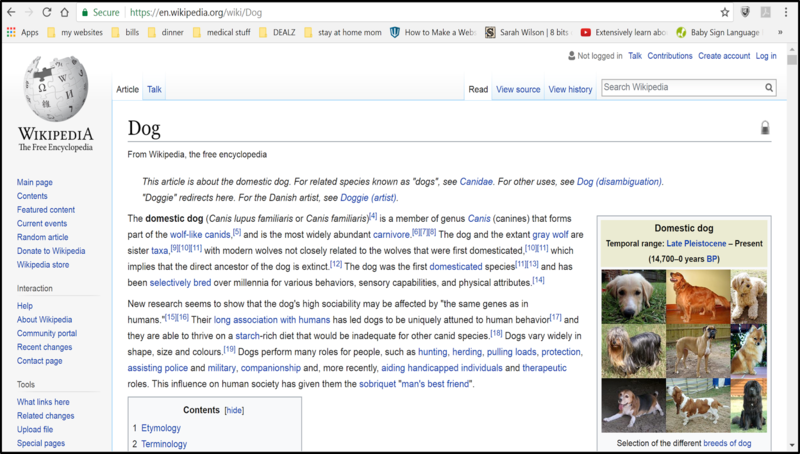 For example, when I googled "credibility of petmd", I found a page on Boston Street Animal Hospital's website that mentions that yes, petmd is credible, but the information isn't always accurate. (Bonus: the article I found on the animal hospital website has a list of "credible and verified" websites for pet parents to use when researching pet-related stuff). I look for articles that provide references, especially peer-reviewed article references. What are peer-reviewed articles? They're articles that have been through a rigorous process of anonymous and unbiased review by experts in that field of study. Articles are not published unless they pass the scrutiny of expert peer reviewers and the journal editors. Peer-reviewed articles are pretty much the gold-standard of credibility when it comes to researching a topic. A word of caution: there do exist "predatory journals" that appear to be peer-reviewed, but they are NOT and they will publish just about anything, which means their articles are not credible. Not sure if the reference you're looking at is a peer-reviewed article? Google it. Media sources are NOT good references. A well-researched news article can be a good way to find new paths to venture down for information. But, generally speaking, a news article is not "proof" of anything. There is often some sort of spin put on the article to lead you to believe something in particular, so be wary. I look for facts, not opinions. Sometimes it can be hard to tell the difference between facts and opinions. This is because some writers present their opinions as facts. It's important to be able to tell the difference. The proclamation that "I know for a fact that cats are vile" is presented as if it's a fact. But it's actually an opinion (one I do not share, by the way. Cats are great! They just make me sneeze a lot...). It's imperative that you know and understand that there are websites out there on the internet devoted to anything you can imagine, no matter how absurd, how biased, how ignorant, or how dangerous the ideas are. Just because you found a website devoted entirely to an idea does not make that idea right. I look at more than one source. I like to find multiple trust-worthy sources and compare information. If it's hugely different, there might be some opinions sneaking in there instead of facts. Or one source might be outdated. Research is constantly advancing, so the date of a published source can matter. And lastly, I take everything with a certain grain of salt. I know that there are a lot of weirdos out there who may not actually be who they say they are, so I try to keep that in mind when I'm reading things online. Additionally, I know that even scientists get it wrong. And sometimes different studies will give opposite results. The scientist part of me really wants to explain to you all the ways a study can give bad results, but I doubt you want to hear that. Lets suffice to say that scientist aren't always right, BUT what they have to say is more likely to be correct than someone who doesn't study that topic as a way of life. No references, and more importantly it's an article on NBC, a major media company, so, you know.... sensationalism. Whatever sells, right? Not surprisingly, the information in this article is wrong and misleading. There are no listed references on the webpage, which is why I feel more wary of the information. makes me feel good about trusting the writer. 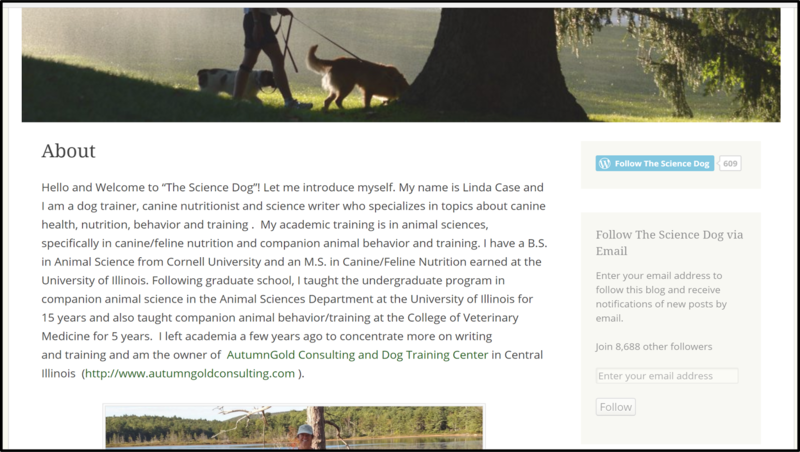 There are references cited at the end of the article, and the author of Science Dog is schooled in the topic of both science writing and animal nutrition. Her credentials as listed on her "About" page are stellar. Happy researching! And good luck. Have any questions? I've love to answer them! Leave a comment or send me a message and I'll respond as soon as I'm able!